Hi! I am from Morocco.Thank u all for sharing your awesome work with us. The worksheet is generally about different types of wishes. There are three main activities.1st wish+simple past, 2nd wish+past perfect and the 3rd wish+conditional. Hope you find it useful. Hugs from stormy and rainy Morocco. 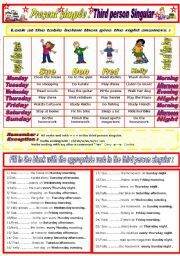 The worksheet is simply about introducing oneslf. 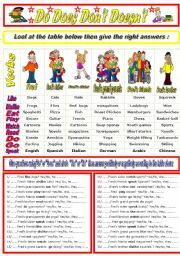 Very good activity for both kids or beginners.Hope you like it.Hugs from Cloudy Morocco. Thanks a lot Philip Martin for your Generosity. 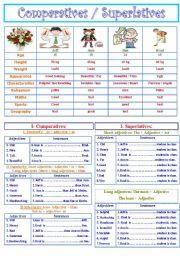 The worksheet is simply about the third person singular of the present simple. Hope you find it useful. Thanks a lot Philip Martin for your Generosity. Warm Hugs from Morocco. How to direct people + task. Hope you like it. 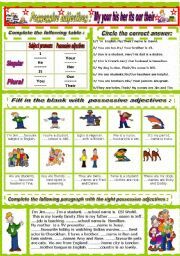 It�s about possessive adjectives designed for elementry level students. Hope u find it useful. Warm hugs from sunny Morocco. Thanks a lot Philip Martin for your awesome cliparts. The workseet is about modals. There is a column which gives a full image of modal uses + exercises. Hope u find it useful. Warm hugs from sunny Morocco. 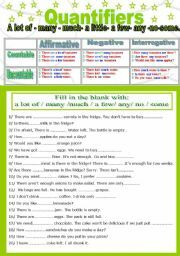 The worksheet is about quantifiers.Hope you find it useful. Thanks a lot Philip Martin for your generosity. Hugs from Sunny Morocco. 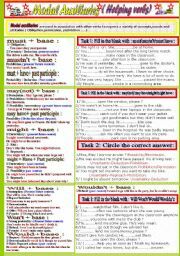 The worksheet is simply about the interrogative form of the presnt simple + short answers. Hope you find it useful. Many hugs from MOROCCO. Thanks a lot Philip Martin for your Generosity. 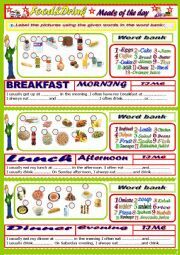 The worksheet is about Meals of the day. Hope you find it useful. Warm hugs from Sunny Morocco! A very simple PPT about subject pronouns for beginners. Hope you find it useful. Thx a lot Philip Martin for your awesome cliparts. Hugs from sunny and warm Morocco. A simple PPt abt feelings. Hope you find it useful.Thx a lot Philip Martin for your awesome cliparts. Hugs from Sunny Agadir, Morocco. School subjects PPT. Hope you find it useful. Many thanks to Phillip Martin for his awesome clip arts. Warm hugs from sunny Morocco. To be - Short answers- (interrogative form). Many thx to Phillip Martin for his awesome cliparts and to you as well for your nice comments.Hope you find it useful. warm hugs from sunny Agadir,Morocco. Negative form of the verb to be. A very simple Activity. Hope you find it useful.Thx a lot Phillip Martin for your awesome cliparts. Warm hugs from rainy Morocco.